they will not upload, why they have that triangle I have no idea. If your photo's have a green dot at the far right hand side they will show up. I don't know where to go from here. 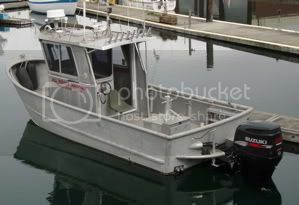 The boat is listed on EBay with pictures. How much fuel does the boat carry? What year are the motors and how many hours do they have? Where is the boat located? Rick the boat is under contract. I wil let you know if anything changes.